The event, which will be held Nov. 24 this year, reminds us to shop local, support those in the community and is a chance to support fellow Knights. While the season of holiday sales is upon us, don’t forget to support local business owners on Small Business Saturday, Nov. 24. These entrepreneurs are some of the UCF alumni who provide goods and services that make Orlando an even greater place to shop, eat and relax. Serving up sweets is practically in accounting graduate Brandon Chandler ’10’s DNA. 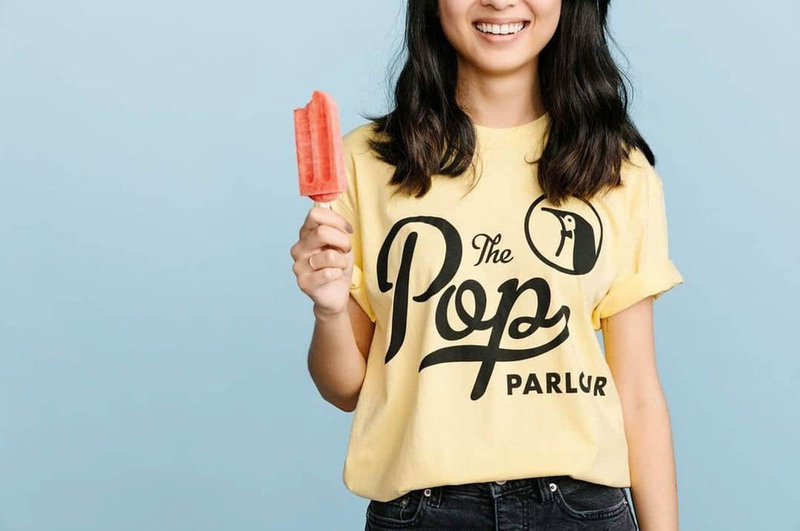 In 2013, Chandleropened Pop Parlour, a shop offering fruity, creamy and boozy frozen treats as a tribute to his grandfather PopPop, who sold similar items after World War II. Pop Parlour has grown to two locations and serves coffee, tea, craft beer and wine, depending on which spot you visit. Six months after graduating with a degree in elementary education, Rachel Ledbetter ’16 took a risk to pursue entrepreneurship by opening clothing boutique Six28. Located near UCF, Six28 sells trendy, affordable women’s clothing and accessories, which can also be purchased on the store’s online site. Cycling enthusiasts Darrell Cunningham ’93 and Jen Cunningham ’95 ’96MSW opened Bikes, Beans and Bordeaux to provide a space for people to bond over good food, drinks and company. With a commitment to health in mind, the shop sells breakfast items, sandwiches, soups, salads, desserts, beer, wine and more daily and at special events each month. While at UCF, Darrell studied civil engineering and Jen majored in social work. Marketing major Anthony “Biggie” Bencomo ’98 merged his love of sandwiches with another creative passion by opening Deli Fresh Threads, a clothing store? with designs inspired by what he considers the #KingOfMeals. You can buy foodie fashion in the form of T-shirts, hats, pins and stickers on the online shop. Bencomo also hosts a monthly #SandwichEatUp at local shops around Central Florida to help support other small businesses. Owned and operated by veteran and psychology graduate Doug Meyer ’14 ’16MBA, Tactical Brewing Company serves craft brews created on-site to veterans, first responders and all beer lovers alike. Retro Orlando captures the City Beautiful’s history while giving back to others. The online T-shirt company offers men and women’s clothing inspired by former iconic Orlando businesses, organizations and landmarks. Each purchase is something you can feel good about because owner and English major Shannon Flesch Couillard ’04, donates a new shirt to a local homeless shelter for each shirt sold. Brothers — UCF senior hospitality major Kyle White and legal studies graduate Bryon ’09— have revived an ancient Native American superfood with their yaupon holly tea company. The brothers sustainably harvest their organic crop and distribute their product at restaurants and shops. Online purchases can also be made on their official site and Amazon. Yaupon Brothers also offers sustainable agricultural consulting services for Florida farmers looking for alternative crops. Started by marketing graduate Curtis Young ’04 in 2007, A Piece of Work apparel company creates custom embroidery and screen printing. Through partnerships with companies such as the Orlando Magic, Funky Buddha and more, the online site offers quality work clothing. A Piece of Work also sells eco-friendly items such as recycled journals and organic cotton totes. Whether you need to put together a small intimate gathering or a major extravagant event, Just Save the Date can help make any occasion special. Communication graduate and owner Kelly Erickson Fowler ’02 started the event planning company after planning her own destination wedding. Just Save the Date operates from two locations in the Orlando and Key West areas.